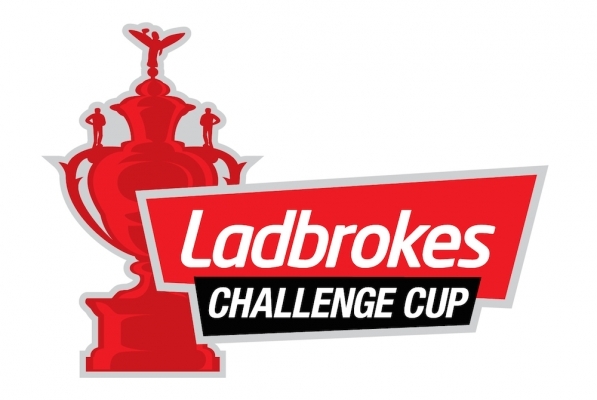 The draw for the fifth round of the Ladbrokes Challenge Cup took place at Media City in Salford on Tuesday evening and threw up a number of intriguing ties to spark the interest of the rugby league public. It was Ladies night as the draw was made by St Helens Ladies Faye Gaskin and Wigan Warriors women’s skipper Gemma Walsh. York City Knights, who defeated Championship side Swinton Lions in the fourth round, were rewarded with a home tie against Super League’s Catalans Dragons. The winners of the re-arranged game between Hunslet and Bradford will see the sides battling for an away tie against the Warrington Wolves. All ties will be played over the weekend of the 21st and 22nd April with one, as yet undecided, game streamed live on the BBC website. *Toronto Wolfpack v Barrow Raiders fixture will be switched and will be played at Craven Park.